Preface The book explains the basic metallurgical phenomenon, to identify the composition and properties of commercial material and alloys as well as the various metal forming processes. Throughout the book, emphasis has been placed upon the clear statement and description of the basic principle. 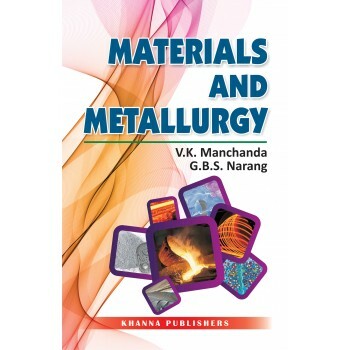 The main objective of the book has been to present the various aspects of &ldquo;Materials and Metallurgy&rdquo; in a simple language and in most graspable and lucid manner. To keep it within the reach of the engineering students, technocrates and working engineering, all the topics have been explained with practical examples wherever necessary.